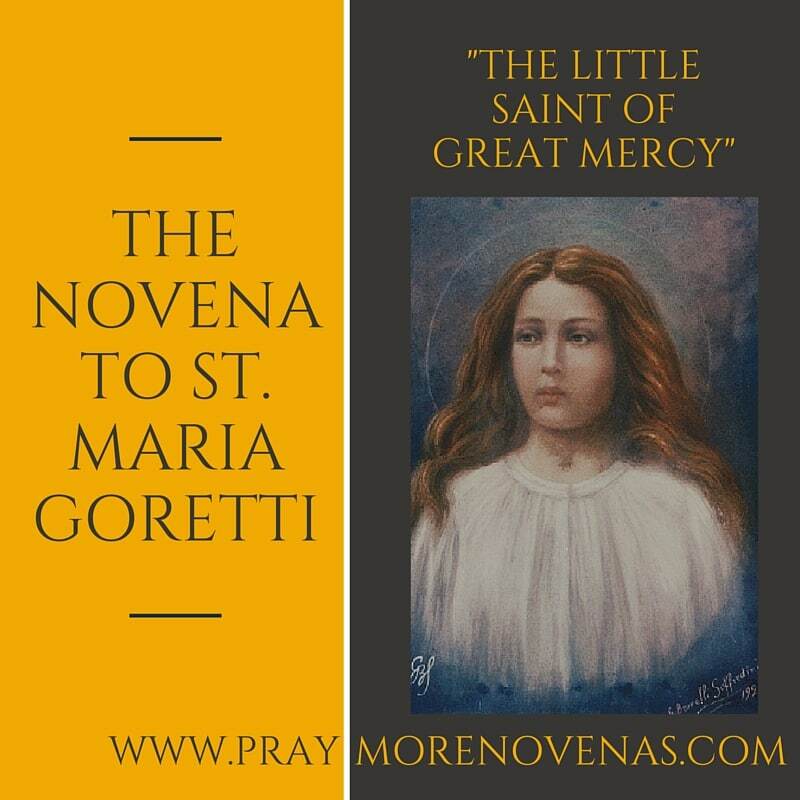 Here’s Day 9 of the St. Maria Goretti Novena! Dear God and St. Maria Goretti, Thank you for hearing my prayers. Rodrigo come home today. In Jesus name Amen! Thank you!! St Maria Goretti please deliver to our Lord my special intentions for each victim of all types of sexual and/or domestic assault. Myself and my daughter are each individually victims of sexual assault. It is so difficult to understand each victim, each assault, because they are all different, and knowing or experiencing one does not preclude you to understand the other. So I also have special intentions for those workers or volunteers whom assist assault victims. For me, it seemed no one could understand except our Lord but we also need help from other people. I offer my prayers, this Novena, to victims, volunteers and counselors and ask your knowing intercessions, St Maria Goretti, to our Lord. I pray for a miracle for Mark. I pray for my whole family that those who left their faith return and those who don’t know our Lord, be touched by faith. O Jesus, for the love of you, for you and with you, please hear my humble intentions and requests. Amen. Jesus and Mary I love you, please save souls. Please let the surgery and recovery time for my breast cancer be completed by Aug. 3rd so that I can begin school when everyone else does. I pray that I don’t have to apply for extended sick leave at work. I also pray for my husband, two daughters, and son. Help them to put Jesus first in their life. I pray especially for my son to be healed from mental illness, alcohol and drug abuse. I pray to Alassandro (not sure of spelling), to watch over my son and guide him to conversion, just like your’s, and a complete healing of his addictions. I pray you are named a Saint too! Please pray for my teenage daughter, that she will receive the gift of faith, for her total conversion and healing of her body, mind and spirit. For all the intentions of this novena community. Mary Undoer of Knots, pray for us! Jesus I Trust In You! I suffer from a stroke please Pray for me,my mother fractured her ankle please Pray for her.AMEN. Most Blessed St. Maria Goretti please intercede on behalf of all people who have been sexually assault and may a healing take place for both the victims and the perpetrators. You’ve prayed for your attacker & he had a total conversion for his wrongful behavior & later became a Saint. May all those individuals who have been assaulted be healed and live a normal life. Especially those individuals who did these wrongful acts repent & become healed forever before leaving this world. This I pray . Lord I pray for financial deliverance. I pray for money to finance my son. I pray for money to meet my needs.